Pampers®, the diaper brand committed to making a difference for Latino parents and babies right from the start, today debuted its new online initiative Mi milagro. Nuestra herencia. Pampers is providing Hispanic moms with a forum to connect and discuss how they celebrate and preserve their cultural roots, pride and traditions with their little miracles. The new dedicated heritage tab is part of an online offering on the Pampers‘ Latino Facebook page (Facebook.com/PampersLatino). The forum offers Hispanic consumers the opportunity to connect with the Pampers Latino community and share personal baby care tips, cultural traditions or special memories from their childhood. The online forum celebrates and supports parents in their quest to raise their little miracles in the American experience while encouraging them to protect their Hispanic cultural pride and traditions. To commemorate the debut of the online initiative, Pampers is encouraging Hispanic consumers to honor their little miracles’ culture by logging on to the Pampers Latino Facebook page and visiting the special Mi milagro. Nuestra herencia. heritage tab (located on the top of the screen); to participate in weekly giveaways for a chance to win customized Pampers’ body suit featuring the names of several Latin American countries of origin. Beginning today, fans will get the chance to participate in weekly cultural body suit drawings’. One lucky family will even be selected at random to win the ultimate grand prize – a vacation to visit a Latin American country to reconnect with their cultural roots1. The promotion ends May 31, 2012. For more information on Pampers’ Mi milagro. Nuestra herencia., please visit www.facebook.com/PampersLatino. 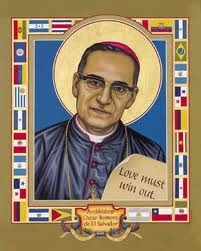 The powerful biography of the Latino Archbishop Oscar Arnulfo Romero y Galdamez who spent his life helping the poor. People so poor that children died because their parents could not afford penicillin; people who were paid less than legal minimum wage; people who had been savagely beaten for “insolence” after they asked for long overdue pay. 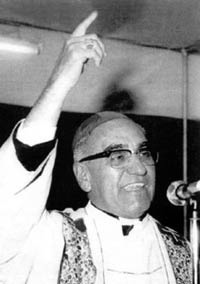 Romero began using resources of the diocese-and his own personal resources to help the poor, but he knew that simple charity was not enough. After the brutal murder of two campesinos – one being his friend and trusted aide – Romero deeply saddened demanded the President look into it. The government’s failure to offer more than lip service reinforced the archbishop’s growing conviction that the right-wing government was in collusion with the aristocrats who killed for personal gain. 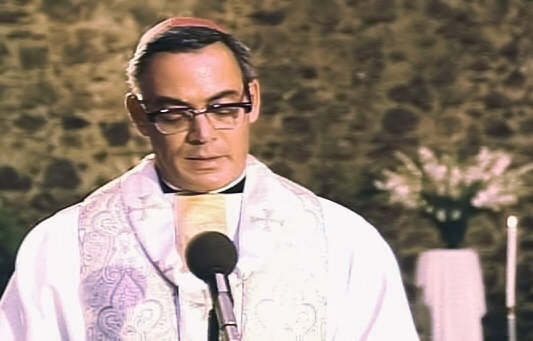 He then notified the president that representatives of the archdiocese would no longer appear with government leaders at public ceremonies. 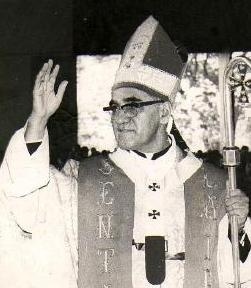 Archbishop Romero presented the Pope with seven detailed reports of institutionalized murder, torture and kidnapping throughout El Salvador. He also wrote President Jimmy Carter, appealing to him as a fellow Christian, to stop sending military aid to the Salvadoran government. His letter went unheeded. President Carter finally suspended aid in 1980, after the murders of four churchwomen, but President Reagan resumed and greatly increased aid to the Salvadoran government. In all, the U.S. aid averaged $1.5 million/day for 12 years. There was so much persecution that in 1979 four priests were assassinated, along with many hundreds of catechists and delegates of the Word. The peasant toll exceeded 3,000/month. In all, at least 75-80,000 Salvadorans would be slaughtered, 300,000 would disappear and never be seen again; a million would flee their homeland and an additional million would become homeless fugitives, constantly fleeing the military and police. All of this occurred in a nation of only 5.5 million people. An estimated 500,000 people attended his funeral when small bombs were hurled into the ground and 40 mourners died while hundreds were seriously wounded. 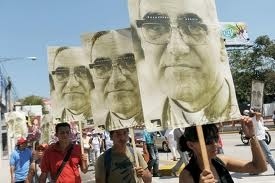 Salvadorans rally in honor of Archbishop Oscar Romero in the capital on the 30th anniversary of his assassin and when El Savador asks forgiveness in 2010 for his slaying (Jose Cabezas / AFP/Getty Images) (to read more of what happened on 30th anniversary http://articles.latimes.com/2010/mar/24/world/la-fg-salvador-romero25-2010mar25). 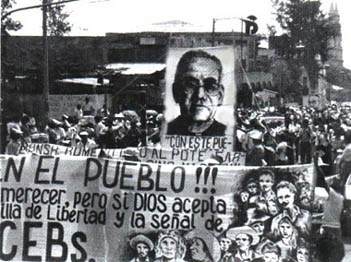 Soon after his death El Salvador was plunged into a full blown civil war that would last 12 years.